The system of Confucian education and examinations expanded from the royal capital city to villages and included both public and private schools. It was in this context that the Nguyen Huy family founded the Phuc Giang private school in the mid-18th century. 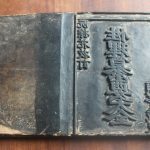 The woodblocks were derived from books written by members of the Nguyen Huy family and were carved from 1758 to 1788 as part of the family’s education and cultural activities. 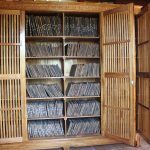 Books printed from the woodblocks were used for educational purposes throughout Vietnam and at the school until 1919 The essence of Confucian culture and education in the wider region, as well as in Vietnam, is captured in the content of the woodblocks. They testify to the influence of Chinese texts which have been supplemented with references from Vietnamese history and a specific Vietnamese focus has been given to some Confucian ideas of the time. They contain information on many topics including history, politics, society, ideology, culture, external relations, and the adoption and development of Confucianism in Vietnam. They also preserve the handwritings, seals and insignia of the Nguyen Huy family, many of whom were appointed to prestigious positions. 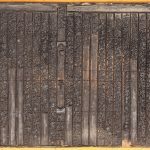 The 379 woodblocks are engraved on wood from the Thi tree (Decandrous Persimmon) in classical Chinese characters and use refined calligraphy styles. They also use varied design styles and follow the standards of ancient books from countries of similar socio-cultural backgrounds in East Asia. The set is not complete as some have been lost or damaged due to war and the climate. It is rare to find woodblocks of such significance preserved by a family.